Sanskrit calligraphy of krishna, God of the Bhagavad Gita. Each piece is hand rendered & unique in appearance. Krishna; the Supreme Personality of the Godhead, tells us in the Bhagavad Gita that devotion to him leads to liberation, Nirvana, & enlightenment. As Arjuna’s charioteer he guides him through the battlefield of good and evil, directing him to slay his blind ego, who has usurped the throne from the rightful ruler. 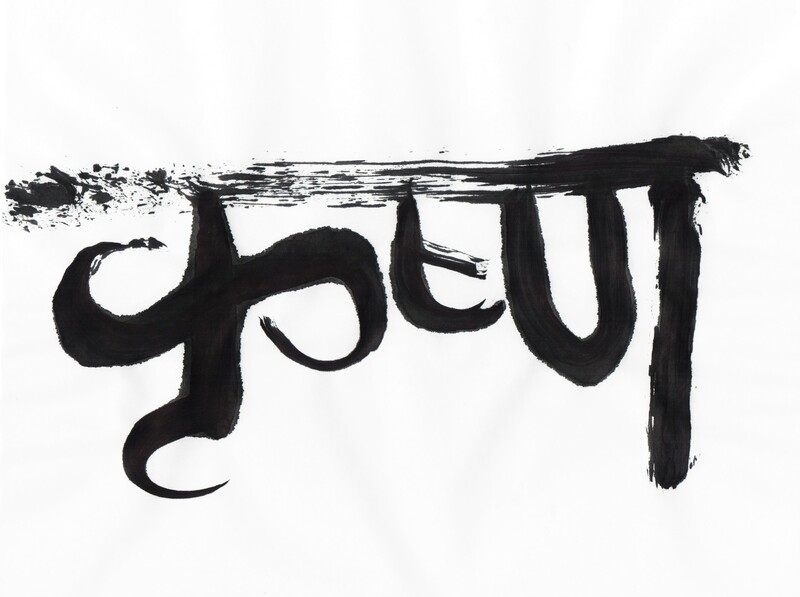 This powerful Sanskrit Calligraphy reveals the energy contained within ready to guide us on our own journey toward the light. Produced with sumi brush & ink in the zen style.